Nikon’s lightweight 500mm f/5.6E PF ED VR has been removed from Amazon’s search results, and pre-orders seem to have been cancelled and refunded. The lens was first announced as being in development last June, with the first sightings in the wild appearing a month later. Finally, a month after that, it was officially launched. Yet, here we are, seven months later, with the lens still showing up as a pre-order item on everywhere that still has the listing available. The product listing on Amazon still exists, although it states that the item is currently unavailable and that they don’t know when or if it will be in stock. It has been removed from search results completely. Sony has announced a long-awaited addition to its G Master series of full-frame E-mount lenses. The Sony FE 135mm f/1.8 G Master is a full-frame, fast telephoto prime lens, and judging from sample photos – portrait photographers will love it thanks to its sharpness and creamy bokeh. Not long ago, Sony launched the 400mm f/2.8 GM OSS, a “lightweight monster.” What first comes to mind with the lens of this focal length is wildlife and sports photography. But photographer Miguel Quiles decided to test how it performs for portraits. He gave the lens a quick spin and he shares his impressions and some shots in his latest video. While the eyes of the photographic community are all pointed at the new Nikon Z mirrorless system, the company has released another impressive piece of gear. After announcing the development of a super-lightweight and compact 500mm f/5.6 lens, the glass now out and ready for preorders. Let’s take a look at the specs and more photos of the new telephoto lens from Nikon. Last month, Nikon announced the development of a lightweight and compact AF-S NIKKOR 500mm f/5.6E PF ED VR. At a recent FIFA World Cup 2018 event, the upcoming lens was spotted, and it sure does look tiny for a 500mm lens. Earlier this year, Nikon filed a patent for a new AF-S NIKKOR 500mm f/5.6E PF ED VR lens. Now the company has officially announced the development of this FX-format lens, promising splendid optical performance in a compact and lightweight package. It’s that time of the year again, and with Photokina back in session comes the inevitable new gear announcements, as well as the rumors leading up to them. This time, the rumors are about a new and upcoming telephoto lens from Sigma. 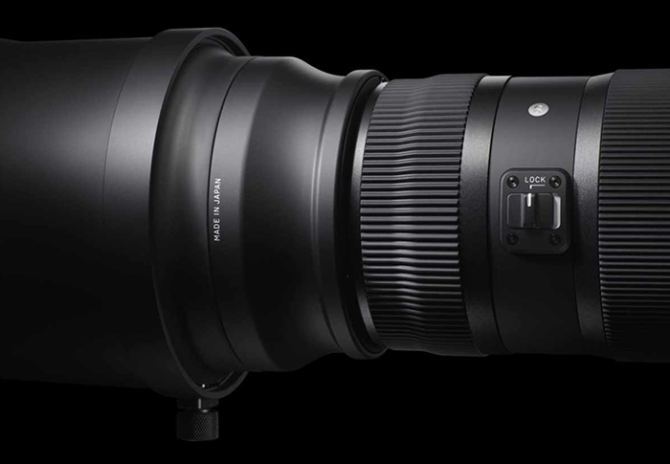 Made for their Sports line, the 150-600mm F/5.6-6.3 lens seems to be a direct competitor to Tamron’s own recently released 150-600mm model. Nikon’s been getting pretty busy this week with their announcements. Two new mirrorless cameras are now headed our way, along with a new telephoto lens. And unless you plan on opening a meth lab and making bank off your experience in chemistry, you might want to just stop reading when you reach the last mirrorless camera; the telephoto lens costs quite a bit. We’ll over the basics of what to expect from each after the break.